Another image from my negative archive that hadn't been scanned until recently. This example of the Sopwith Triplane is actually a replica of the original built in 1990. This shot would have been taken in late 1990's or early 2000's (pre 2003) . It is held as part of the Shuttleworth Collection at Old Warden which contains many early aircraft which are in flying condition (both originals and replicas). Although they only fly them in absolutely perfect conditions. Great capture, and you did a terrific job of scanning your negative to make it into this photo. Further information about the aircraft in the caption. 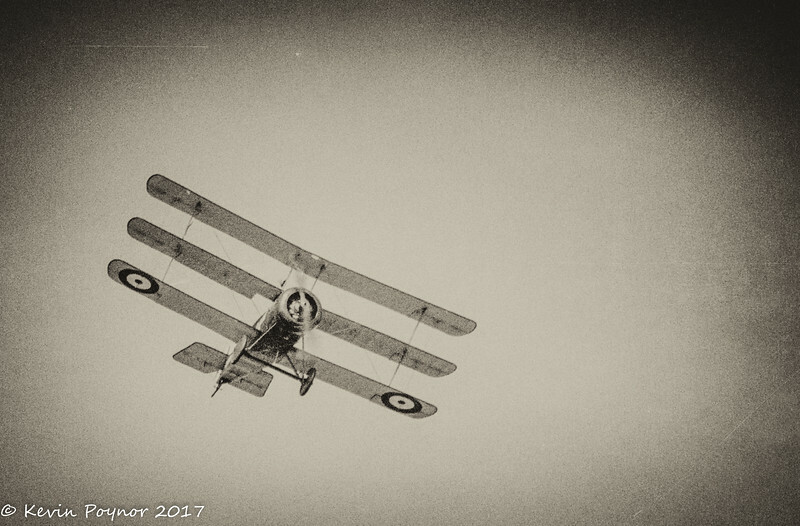 The image of the Sopwith looks as if if was taken on the day of the flight !! Amazing looking plane !